[STABLE] Glad Giraffe Hotfix + Dev Blog! A hotfix was pushed today for a very specific issue. If your game crashed between completion of one quest and pressing the button to accept another quest, it could make you unable to complete the main quest line. Now it doesn’t do that! You’ll be able to tell your capture pods apart! Capture pod tooltips will contain information about the monster inhabiting them. Craft capture pods at the capture pod station, and heal your pet at the pet healing station. 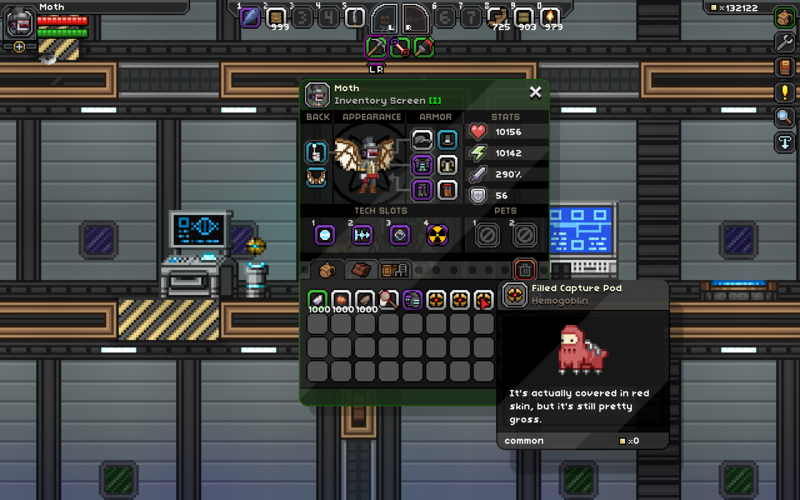 You don’t need to kill your pet to put it back in its capture pod! You can instead throw the same capture pod again to recall the pet. ^ One for @TheStrangeLog, I think. Our comment system still isn’t fixed, but miiight be tomorrow. For now, here’s the thread you should leave your comments in!